Works with iPods and other portable music players! 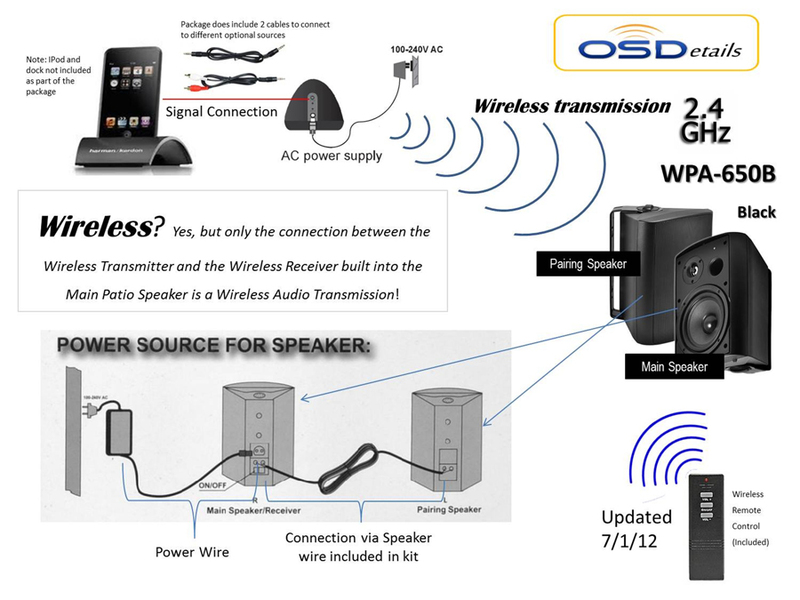 Sold in pairs, the OSD-WPA650 all-weather wireless patio speaker is an easy and effective way to bring sound outdoors without having to run wires to the source. 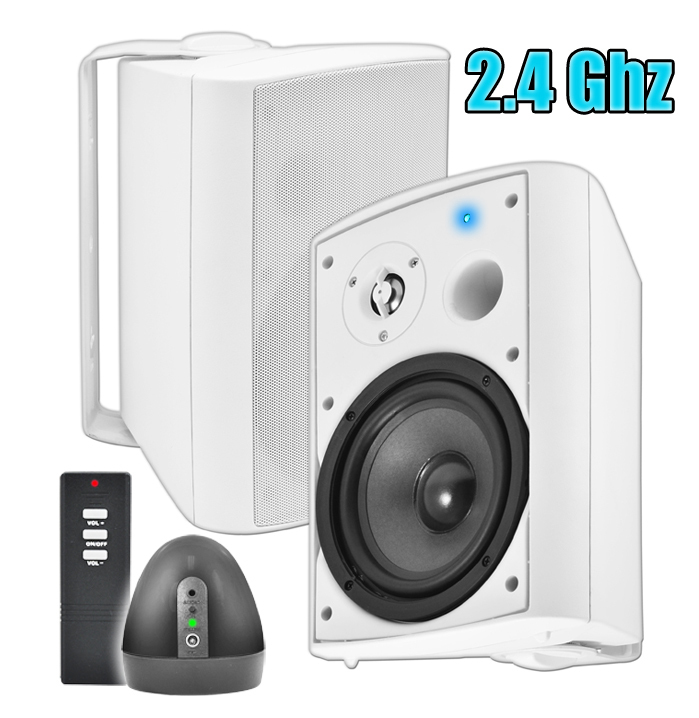 These speakers kick out big sound in a wireless package and use use the 2.4 GHz-2.48 GHz frequency range, which is less likely to experience interference from other wireless devices like cordless phones. 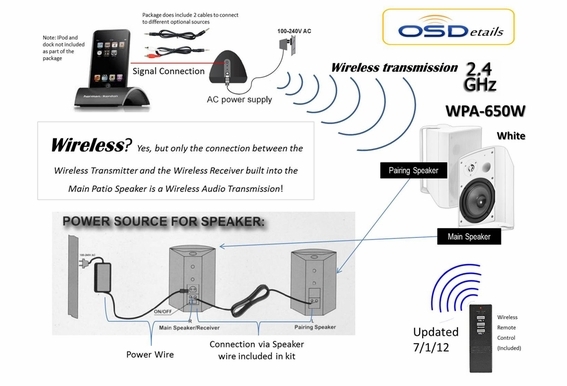 OSD Audio makes it easy to listen to portable music players like iPods, iPads, and Android devices outside. 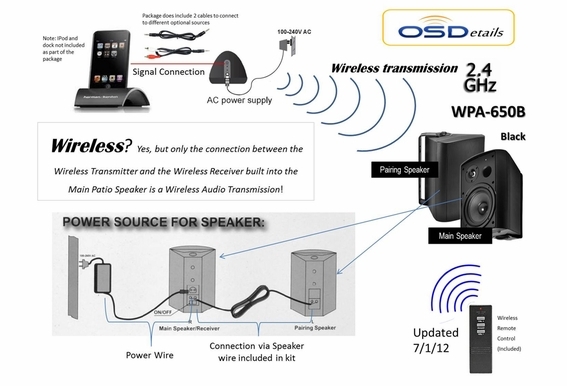 Each wireless speaker includes a transmitter and mini cable that plugs into an iPod, iPad, laptop computer and other mobile devices with a headphone jack. This all-weather speaker has a range up to 300 feet (may vary depending on the environment), and the wireless patio speaker includes a sturdy 6.5" polypropylene cone woofer with butyl rubber surround, providing excellent bass response. 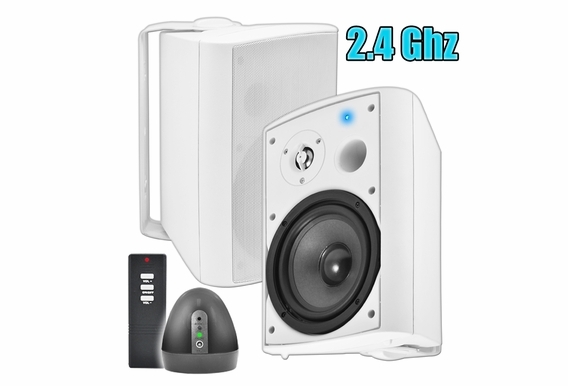 This system comes with two speakers, 8-channel audio transmitter, power supply for the speakers, remote control, and audio cables needed to connect to mobile music devices, A/V receivers, laptop computers, etc. Pack Dimensions: 17.7 x 13.4 x 12.8 in. can these work with the sonos connect amp? thanks! 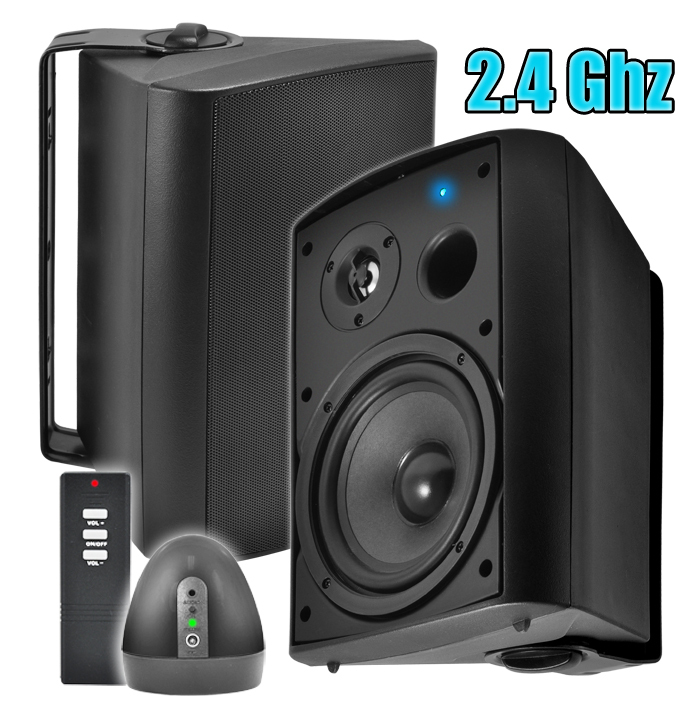 i am looking for a pair of speakers to put on my porch... there are no electric plugs , so i want to put a pair up that are wireless no wires anywhere, except to run the transmitter indoors.and can i transmit off a stereo in my house?? how are theses powered? how do they get the signal? what is the range of the signal from the computer? Thanks you for your answer to me question about the pulsing/flashing blue light on the front of the powered speaker. It made sense that it might be searching/pairing with the wireless transmitter but they are still not working. The red light in on on the front of the wireless transmitter and I've tried pushing the channel button to no avail. Is it possible that the wireless transmitter is no longer working. It is set up outside on my patio. What does it mean if the blue light on the powered speaker pulses on and off?? 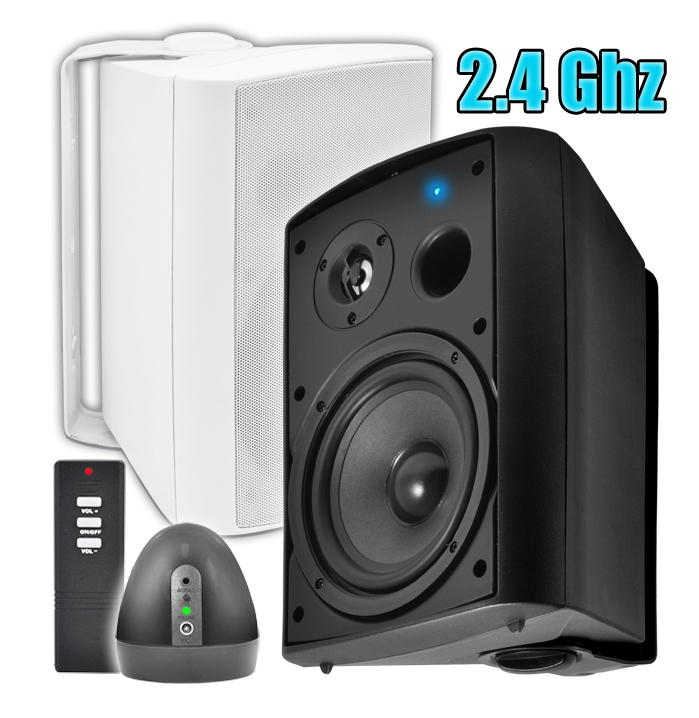 Can I use these speakers on a sonos system? If I add a 2nd pair, receiving from the same transmitter, can I adjust the volume of the 2nd set independently of the 1st pair? 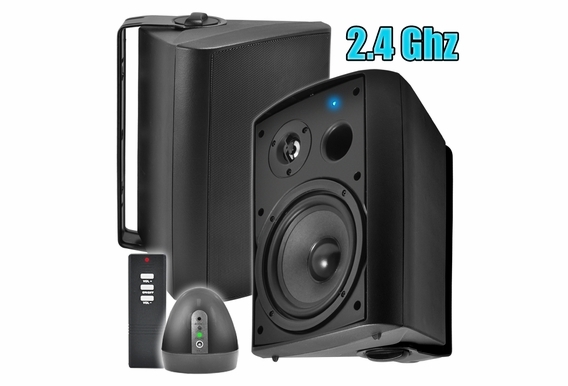 how would I be able to use wireless speakers with and ordinary receiver that's not wireless equipped? Hi Ed, They had a transmitter device that you would plug into your receiver, which would send the audio signal from your receiver over to the speakers wirelessly. Do you have to buy these speakers in pairs? I don't want any wires anywhere and the pairing speaker has the extra power cable running to it. Can't I get multiple 'powered' speakers? Also when are they in stock? Hi Travis, This model is discontinued and no longer available. 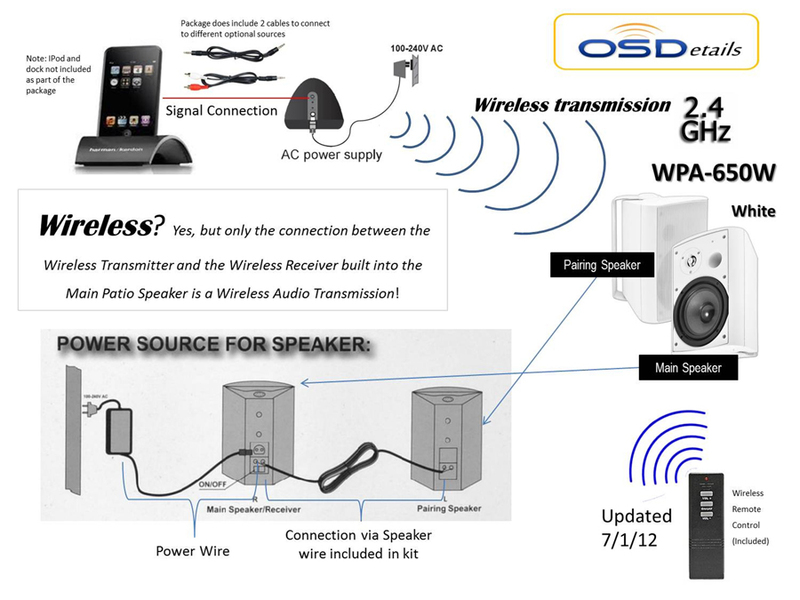 See our BTP-650 Bluetooth Wireless Patio Speakers. Thanks! The signal quit sending, light up ok how do you reset it? 1. Shut off the wireless internet router for testing purposes to make sure nothing is interfering. 2. Whatever the source may be (MP3 player, CD player, computer, etc) – the volume should be turned up to max level. 3. When everything is plugged in and powered on, turn the wireless speakers off using the on/off button on the remote. 4. Next, press the channel button on the transmitter once. 5. Now, turn the rocks on using the on/off button on the remote. 6. The speakers should start producing sound now. 7. Make sure that the volume is turned up using the volume button on the remote. I plan on placing these speakers on a support rafter for my outdoor patio, they will be powered by a switched outlet. If I leave the power switch on the speaker, does it stay in the "on" position if I turn the outlet off at my switch? Hi Abel, Yes - the switch will stay in the "on" position so next time you turn your outlet on, it should automatically activate. Do you have these speakers already? I ask because we sold out of them and they are a discontinued product now. The BTP-650 Bluetooth Wireless Patio Speakers took their place. I would like to mount these outside of my wife's store. Can I run them from computer( Pandora, I Heart etc.?). Also can I run an other set in another room ? Can I have independent volume control? Can I run them on an a/c adapter ( no batteries) ? Thank YOU! How can I connect the Tuner in my Sony FM Stereo AM/FM Receiver to the transmitter so I can hear radio stations through the outdoor speakers. I connected through the headphone jack (larger than an Ipod speaker jack)but I only get sound from 1 speaker. Can I do this? 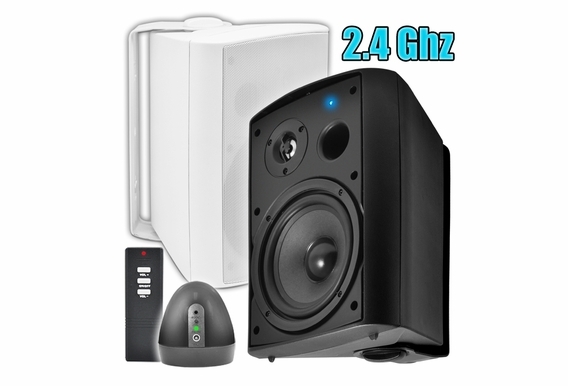 I already own one set of these speakers and would like to purchase another (4 speakers in total) can 2 sets be integrated to the Sonos Connect? I reached out to sonos and this was their reply: "Thank you for contacting Sonos Customer Care. I've been looking over the specs for those speakers and from the look of it one Connect would be able to drive one pair of speakers only. 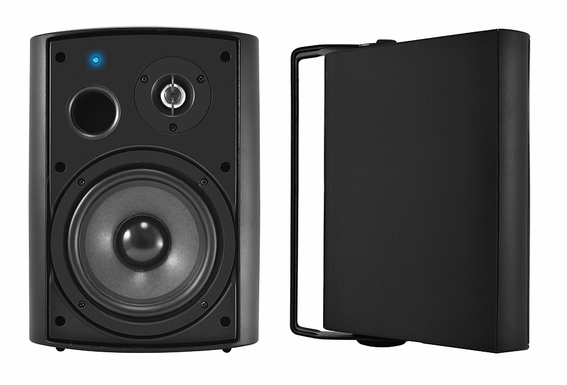 The connect only has a single analog output and it looks like these speakers only do analog audio in. 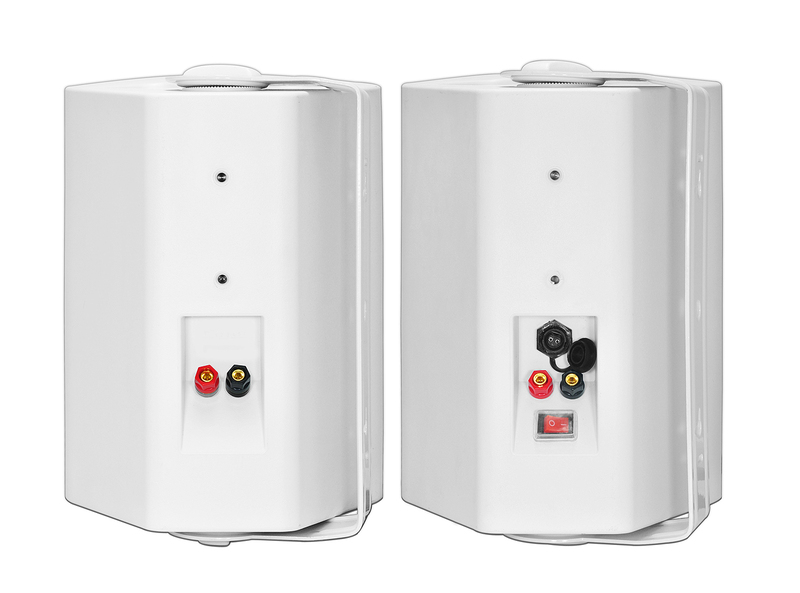 The only thing I am unsure about is whether these two sets of speakers can be integrated together to one wireless transmitter. It does not appear so, I assume they would advertise this, but it may be worth asking the manufacture just in case as this would save you needing a second connect. " 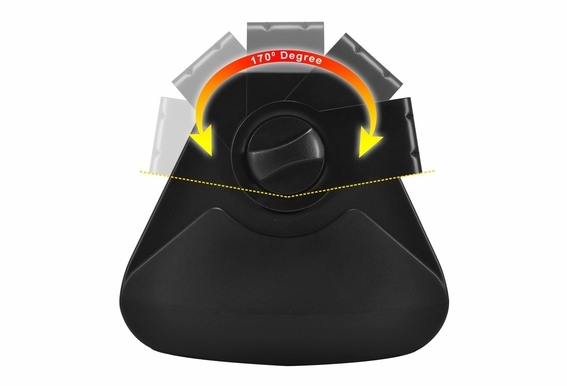 What is the purpose of the on/off switch on the back of speakers...would you have to keep turning them on/off each time or will they remain on all the time is to hard to get to them when mounted high? 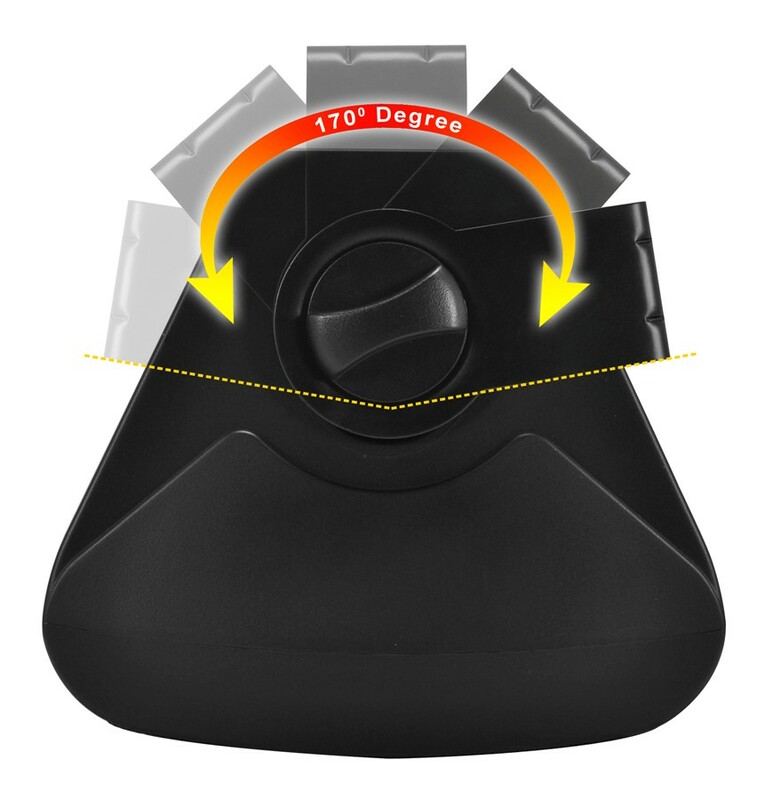 Assume remote turns transmitter on/off since speakers have manual switch. I have a pair of these, and they've stopped working. The blue power LED on the main speaker flashes (actually it slowly fades on and off). Can anyone tell me what this means? How long is the AC cord that connects the speakers to the power source? I have an Onkyo TX NR809 AV network receiver, will I be able to connect the WPA-650 to Zone 2? 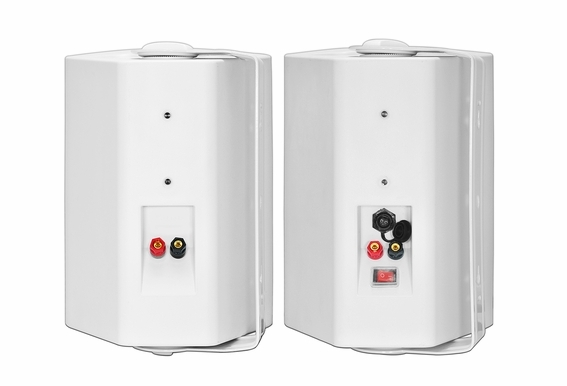 Can I replace the included 30 foot wire with 50 foot wire to connect the 2 speakers? Or maybe 40 foot wire. I want to know if this will degrade the sound. 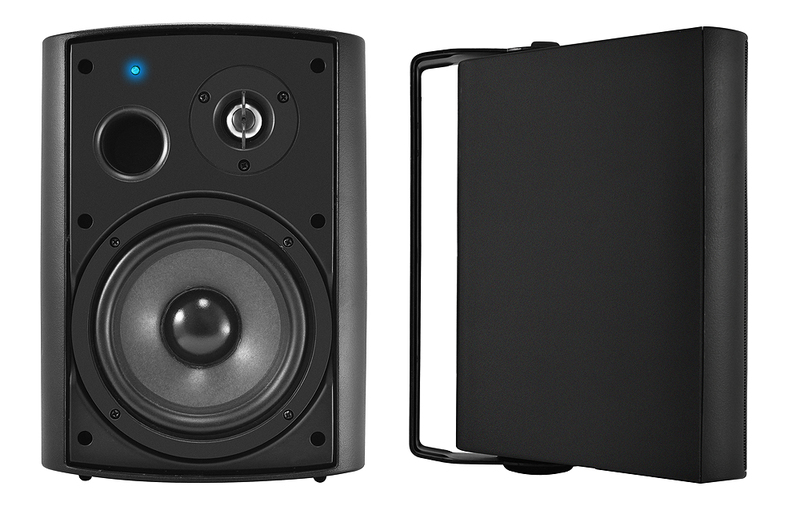 Can each of these speakers go as loud as 90dB? And can I plug my ipod directly into the speaker instead of through the transmitter? Thanks! Can the bracket be removed from the speaker? I don't think I'd mount it but sit it on the floor or the deck railing. Purchased a set for a friend. The system has been working great for about 6 months, but now the power indicator light fades slowly in and out. what would cause this. Can you expand the speaker wire lenght to more than 30ft? Does the remote need to be pointed at the speakers, or the base unit. If I have 2 sets of speakers, can I turn speaker sets off and on separately with the remotes? I am searching for a wireless speaker set where the remote will turn on/off the entire system. I don't want to go outside and have to turn each speaker on individually. Do a lot of systems do this? or only a few? or none? does this one? I am considering purchasing this unit. I was concerned about rain getting inside ? The first thing I noticed is that there is an open port hole so rain can get inside. Seeing this is powered speaker, there must be an amplifier inside. What happens if rain gets inside with amplifier inside ? I am concerned because I live in a rainy area. The unit just says weatherproof, not waterproof. Can anyone clarify this and answer my concerns . Hi... works with iPad ? Will this system plug directly into my speaker output in the back of my computer tower? Is the sound good? Is the wireless reliable? Are these speakers and grills paintable, so they can blend in with the color of the house? Does the remote control truly power these units on? I have another set of wireless speakers (different mfr) and the remote turns the units into standby, and back on. But if my speakers are really powered off, the remote cannot power them up. In other words, if I would mount these OSD speaker in a place I can't reach them, and have them plugged in there, will the remote turn them off and on without me having o reach up and press some other button? Is the volume on these independent of the source. For instance, if I hook these up to a TV, do I have to have two remotes handy to adjust the volume? Or can I set them and forget them and just use the TV volume? Thanks. It looks like the speaker posts are exposed to the weather. Are these speakers truly weatherproof? How loud are they? How do they compare to the wr800 in sound?